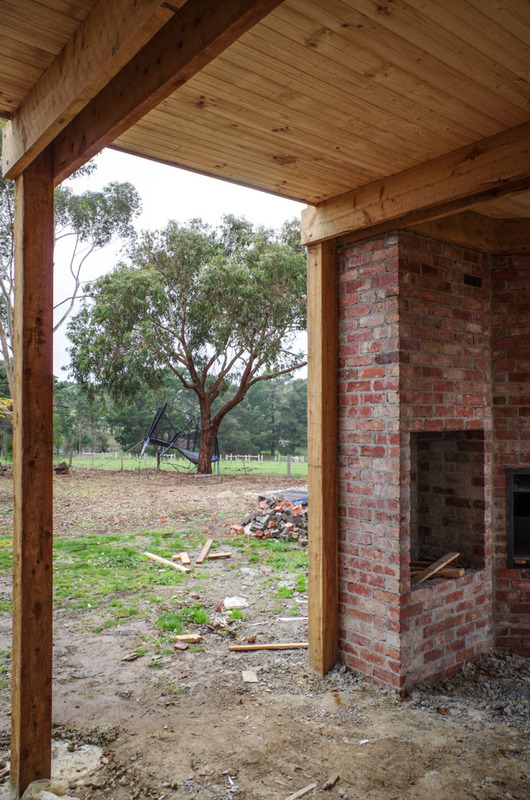 The renovation of a 70’s brick house on a rural site. The linearity of the original plan is offset by the new building volume, which arches over and around the original house, creating a new entry and a courtyard area between the two building wings. The recycled red brick addition appears like a remnant chimney stack from a bygone era while the low slung form of the original house is remodeled and exaggerated with deep eaves, leaving the impression that the existing house is in fact a modernist addition to an historic relic.